Well this method works for all mobile phones and portable media players (PMP). One of the best free converters I found without ads or junk after install is Format Factory . language for audio and subtitles. 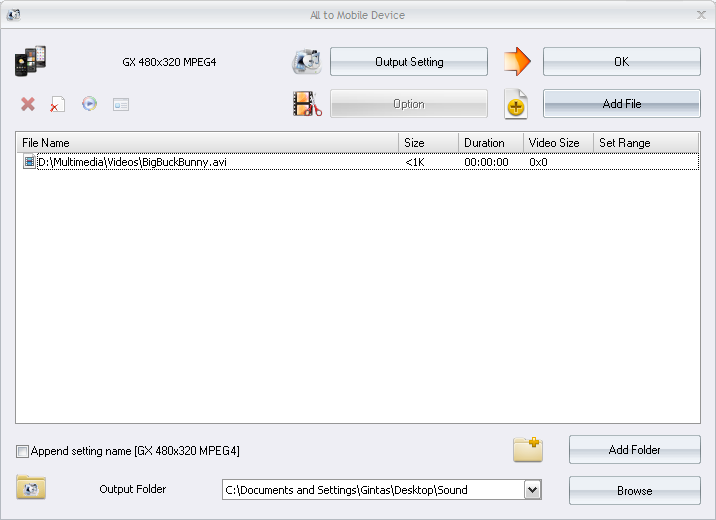 Also it can convert download Youtube videos into MP3. Start the program and from left menu click on Video bar. Select All to mobile. From the models list I selected Google phone and 480x320 resolution since my mobile has HVGA resolution. To find out your screen size you can check your phone model at manufacturer website or PDAdb.net and GSMArena.com . 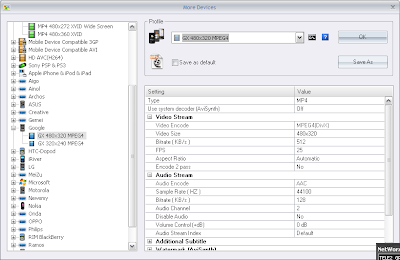 If you have large SD card sure you pick a better sound quality when default. In the new dialog select the files you want to convert and press OK. In the main window press start button and have a coffee while you will get all your videos converted. using PC suite or WiFi. 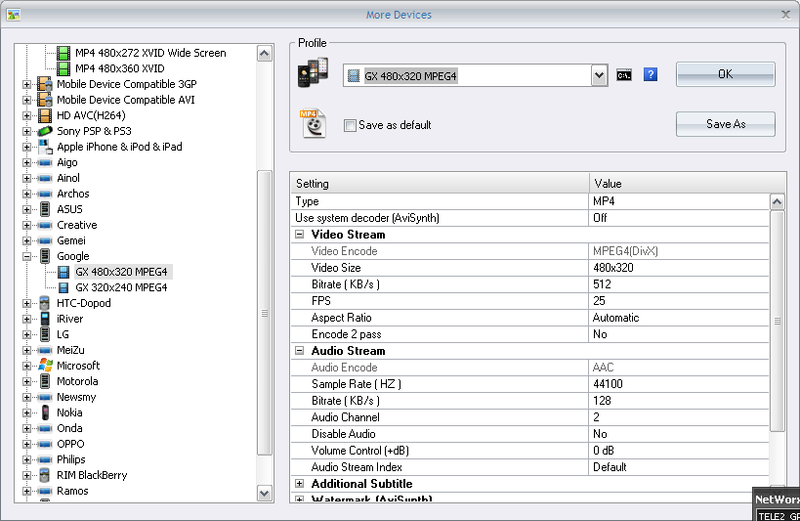 How to convert DVD into mobile video? 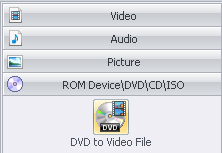 From the main window select the "DVD to Video file"
Make sure to check Youtube for detailed tutorials about Format Factory. 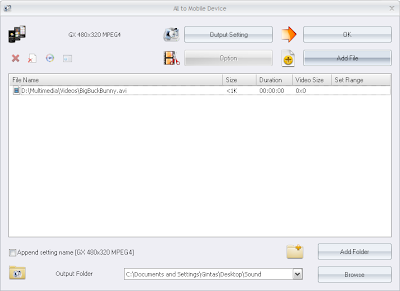 As alternative you can FreeMake Video Converter. It requires .NET Framework 4 . Make sure to check their "How to" section with lots of video tutorials.